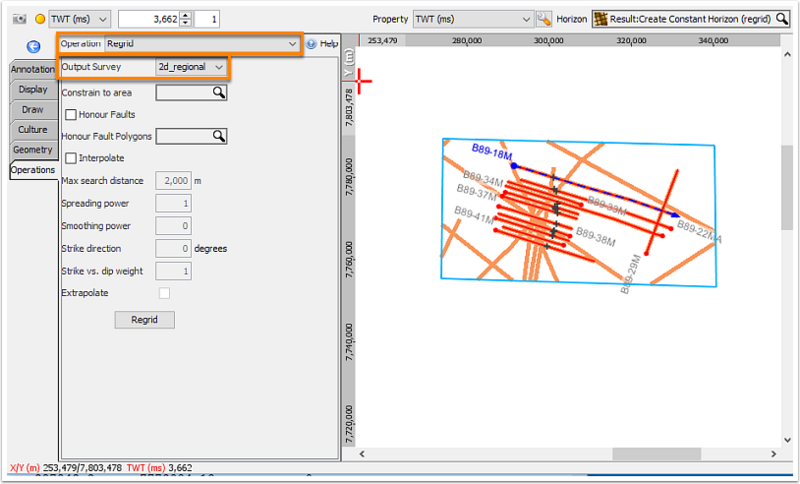 ARCGIS (and other softwares) import a simple XY TWT file. We can use the workflow below in Insight to create a horizon for XY values from the 2D surveys, export this to an XYT file for import into ARCGIS. Create a constant horizon covering all the 2D surveys you wish to transfer. (A 2D line set can be used to group the 2D lines). Regrid this horizon to the 2D survey using the Regrid tool. Create a new horizon. Export this new horizon, select custom export and XY TWT. If needed, CMP and Line name can also be exported. A simple XYT file will be exported. Import into ARCGIS. Prev: How do I change survey CRS to project CRS? 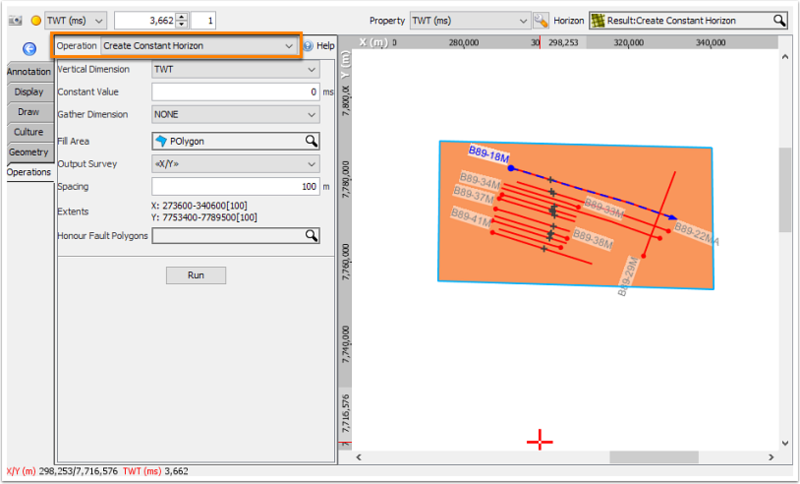 Next: How do I set boundaries for my 3D survey?